Reynolds number is an important factor for purified water distribution system and it helps to maintain the required flow to prevent the formation of biofilm. Purified water is commonly used in the pharmaceutical industry, science laboratories, laser cutting and automotive use. Purified water finds a considerable amount of usage in the pharmaceutical industry in the form of a raw material, component and solvent in the production of a number of medications. But before the purified water can be used in medications as a raw material, ingredient or as a solvent, it is to be ascertained that it meets the basic defined levels of chemical and bacteria purity. The water has to be regularly tested and monitored to maintain the required level of microbiological content. In considering the design requirements of a purified water system, a number of factors need to be taken into consideration. The Reynolds number, a calculation that helps measure the level of water turbulence, is one of those factors. Reynolds number for purified water system has an importance in monitoring the microbiological activity in the pipeline. The concept was introduced by Sir George Stokes and was popularized by Irish innovator Osborne Reynolds in 1883, hence the name. Nearly after 135 years, it is still being used as a criterion for controlling and maintaining the standards in purified water systems. The goal of Osborne Reynolds was to develop a classification system to measure the level of turbulence of a fluid. The experiment Reynolds developed involved a pipe with a flow of liquid within which he injected dye for observation. Reynolds studied the flow of the fluid and closely observed how it impacted the dye. When it was flowing in what looked like a straight line, the dye blurred only very slightly. He would classify this level of flow as laminar. When the speed of the flow increased, the dye experienced considerably more fluctuation, Reynolds classified this as transitional flow. When the speed increased even further the dye was extremely blurry, fully filling the pip. At this flow speed, the fluid was considered turbulent. To this day, this figure is used to determine whether fluid flow is laminar, transitional or turbulent. Reynolds number is an industry standard used to study the flow of fluids in a pipeline. It defines the water flow as either laminar i.e. smooth, in an orderly manner with all the particles flowing in the same direction or as turbulent meaning particles moving in a disorderly fashion. When analyzing the Reynolds number, one must process it based on where it falls on the scale. If the numbers measure less than 2300, the water is considered to be laminar. In instances of laminar flow, the water will flow in parallel layers at a very low velocity. Essentially, there is very little disruption between the layers running parallel, meaning that the water is not turbulent. If it measures anywhere between 2300-4000, this is classified as a transitional flow range. 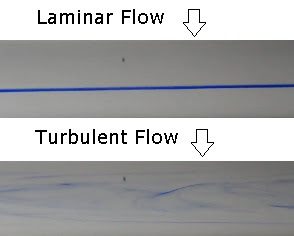 Falling between laminar flow and turbulent flow, transitional falls right in between the two points of measurement. Within this range, the water flow is neither laminar nor turbulent. A Reynolds number that measures over 4000 is considered to be turbulent water flow. Many water systems have a biofilm present in their distribution systems. Biofilm is a layer formed on solid surfaces containing bacteria and certain other micro-organisms. The detection and removal of a biofilm is extremely necessary. The required level of microbial purity can be maintained only by the removal of the biofilm and regular checks to keep it in place. It can be controlled in the pipelines by maintaining a certain flow with the help of the Reynolds number. This kind of microbial formation can be prevented by maintaining a turbulent water flow in the pipelines. 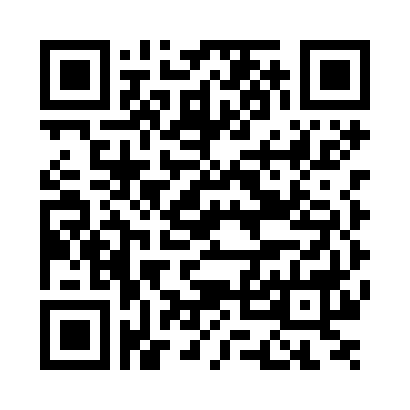 As mentioned above, the Reynolds number that needs to be achieved is over 4000. It is measured by multiplying the diameter of the pipework by the velocity. This is multiplied by the density divided by the viscosity. The distribution loop is essential as it drives the continuous loop of the water, transporting water stored in the storage tank back to the water tank continuously. Turbulent water flow prevents the formation of a biofilm. Hence, usually a speed above 1.2 m/s or a Reynolds number greater than 10000 is advisable to maintain. This will help to minimize the chances of a biofilm formation in the purified water distribution system. Through a proper regulation of Reynolds number, the formation of a biofilm can be controlled. In case a biofilm is formed it can be removed by using chemical sanitization. Although the Reynolds number is only one component to be considered in the design of a water purification system, it is essential to the functionality of the product. It is fascinating to note that a measurement unit developed hundreds of years ago is still a viable and widely used factor even today. How carry out peak load study during intial qualification of water system. Ensuring return line velocity is above 1 m/sec with usage at multiple userpoint. i have a query on this topic, now a days is this term 'Reynold number' is replaced with Dead leg Area ?.